DevTools has a great deal of features, and to take advantage of them, it’s wise to invest some time learning the ins-and-outs of the tool in order to unlock its true potential. Fortunately, there are many free tutorials, guides, and resources on DevTools. Whether you’re completely new to DevTools or are already an intermediate user, these tutorials and resources will give you a wealth of insights on this amazingly powerful development tool. 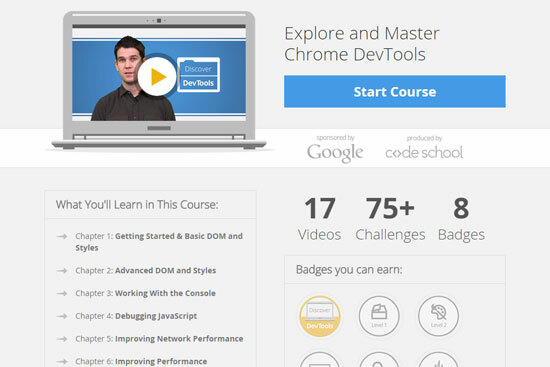 Discover DevTools is a free web-based course at Code School that will introduce you to Chrome Developer Tools. There are seven chapters and 17 videos in this online tutorial/course. 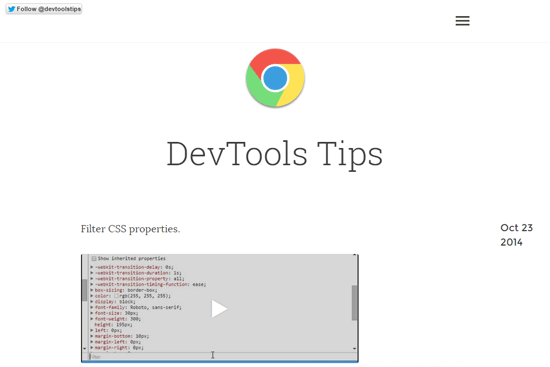 This site is a collection of useful Chrome Developer Tools tutorials, tips, and tricks curated by full-stack web developer Jeferson Koslowski. 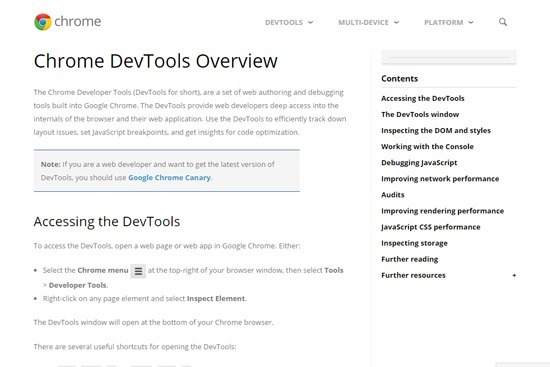 For those who haven’t heard of DevTools before, or for developers who want to completely master the fundamentals, the official documentation at the Google Chrome Developer site is an excellent place to start. 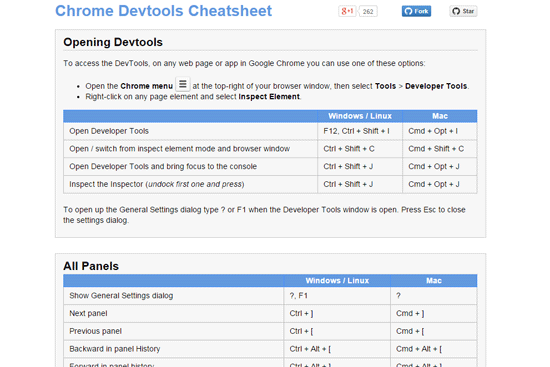 The Chrome DevTools Cheatsheet is an information-packed one-page resource that’s extremely handy to have around as a reference. This 5-part video playlist from the Google Chrome YouTube channel is a set of short introductory video tutorials about DevTools. The videos were published in 2009-2010 — many aspects of DevTools have changed since then — but they will still provide you with good information about the tool. This 40-minute video tutorial by Patrick Dubroy reveals some lesser-known DevTools features. Wait, Chrome DevTools Could Do THAT? This 33-minute video by Google Web performance engineer Ilya Grigorik will give you tips on how to effectively use Chrome Developer Tools to analyze network performance, find memory leaks in your scripts, and much more. SEO for Beginners: Our Best SEO Tutorial	Google AdWords vs. Bing Ads: Which is Right for Your Business?